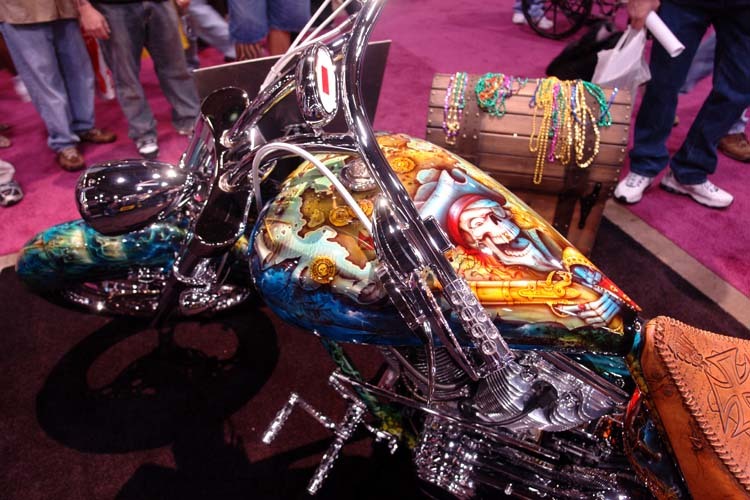 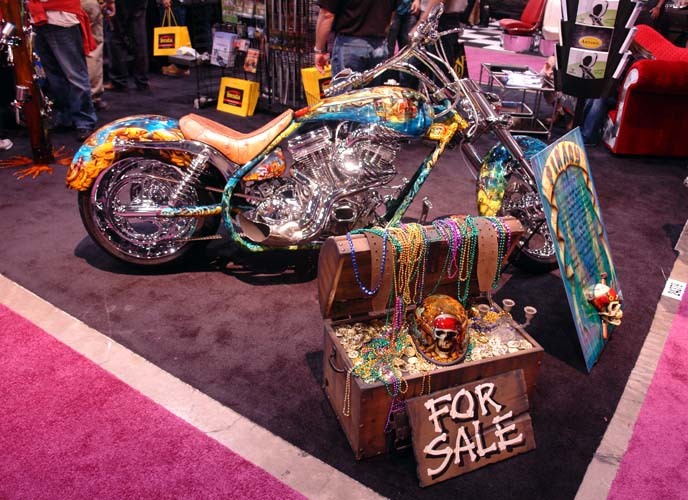 The first time you saw this bike was in the House of Kolor booth 3 years ago. 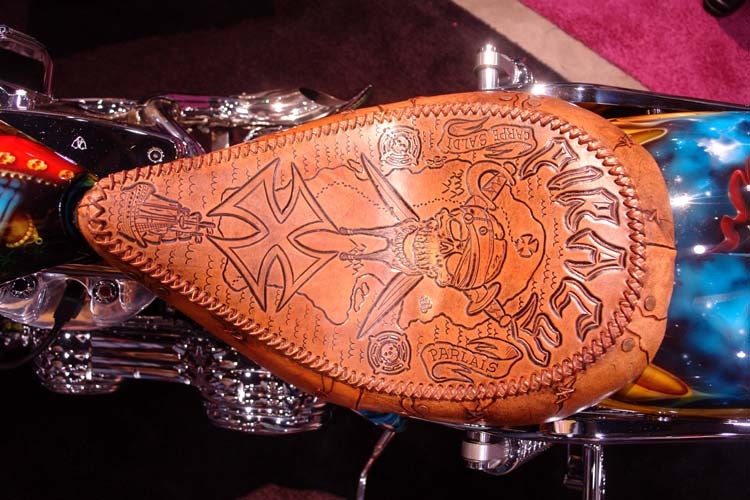 Since then, the frame has been muraled out, the display finished, and even a hand tooled leather seat. 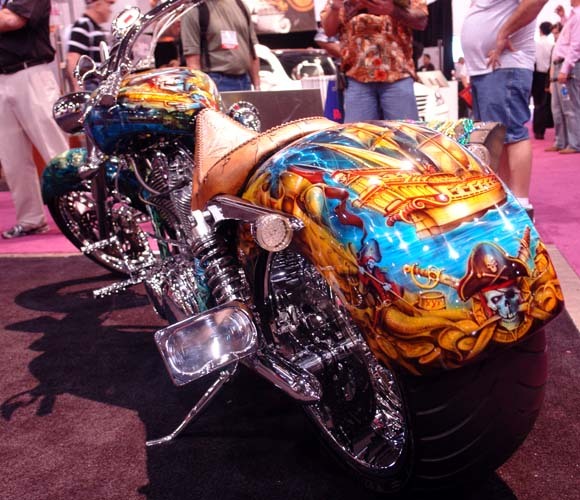 Designed by Craig Fraser, tooled by Adam Croft.